The interim Managing Director for Asia Iron Australia, Mr Deyong Guo dismissed recent reports that expressed doubt the Extension Hill Magnetite Project would go ahead. Mr Guo was quoted in the following article that was released in the Financial Review on 22nd November 2013. The $US3 billion Extension Hill iron ore mine and refinery in Western Australia will proceed, according to a senior Chinese steel executive. The executive, Deyong Guo, dismissed recent reports in WA that expressed doubt the project would go ahead after the replacement of a senior Australia based executive. Mr Guo told Australian journalists that a decision on the investment in the project would be made in October 2014 and that he was confident it would be approved. The project will take about three years to complete. He was speaking after a tour of the massive Chongqing Iron and Steel Group plant, which opened in 2011 and cost $US5.3 billion. It produces about 8.5 million tonnes of steel annually from around 15 million tonnes of iron ore, about half of which comes from Australia. Although the plant is built on a massive scale and includes three steel mills using 10,000 megawatts of electricity annually, executives said there were 30 bigger steels plants in china. Speaking through an interpreter, Mr Guo said he had recently returned from spending 26 days in WA and plans for the magnetite mine and processing plant were well advanced. It is located about 300 kilometres from Geraldton, in the mid-west region north of Perth. Mr Guo is a senior executive with Chongqing Iron and Steel and is also chairman of the Australian project vehicle for Extension Hill, Asia Iron Australia Pty Ltd. his comments came during an exchange of journalists between China and Australia organised by the Asia Pacific Journalism Centre. Mr Guo stressed that Australian workers should not fear losing their jobs through his company bringing in large numbers of Chinese workers for the project. His comments appeared to be an indirect reference to the campaign by Australian unions against the use of foreign employees on section 457 visas, although he did not mention the unions directly. He said that there was no intention to “squeeze out” Australian workers and the company would overwhelmingly use Australia workers in the construction and operating phase. The Australian operation now had 39 employees, of whom 34 were Australian. 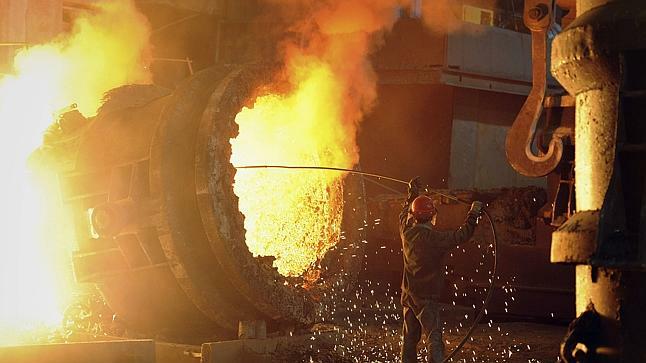 The executive conceded that the Chinese steel industry had much overcapacity at present and noted that recent plenum of the Chinese government had clearly signalled that it would phase out older, less efficient steel mills. He said the overall Chinese steel industry had demand for about 800 million tonnes annually but capacity of 1100 million tonnes. The Chongqing operation produces steel for local consumption for use such as plate for the car and ship building.